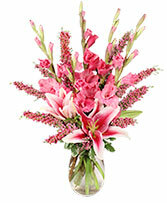 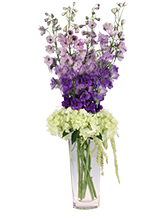 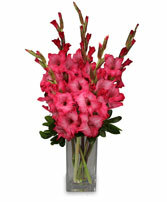 Tall Square Vase, Foliage: Pittosporum, Of Hot Pink Gladiolus. 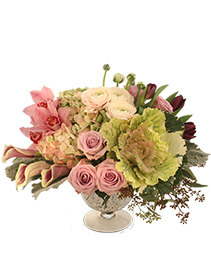 Flared Silver Mercury Glass Bowl With Pedestal, Wet Floral Foam, Foliage: Seeded Eucalyptus, Silver Dusty Miller, White And Purple Mini Callas (Picasso), Large Green Hydrangea (Antique), Pale Lavender Roses, Medium Green Kale, Pale Pink Ranunculus, Deep Purple Tulips, Pink Cymbidium Orchid Blossoms. 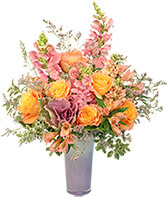 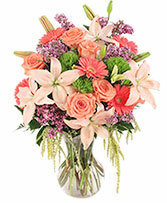 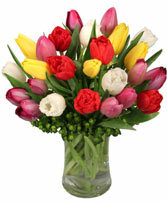 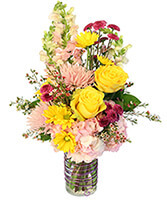 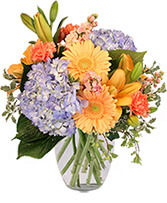 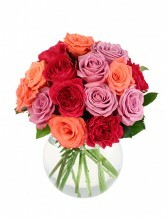 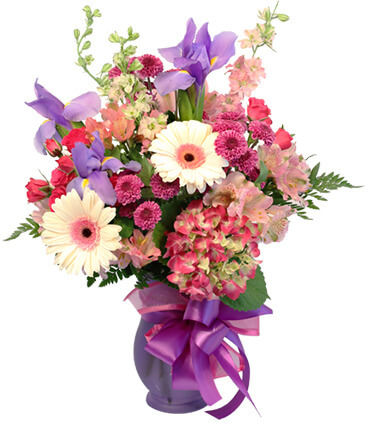 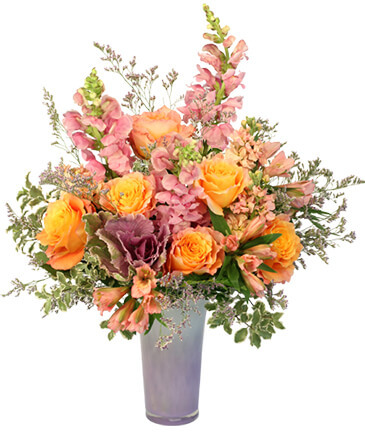 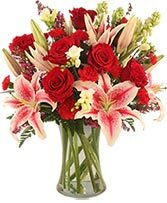 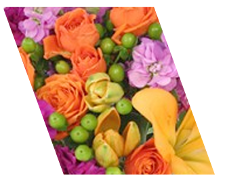 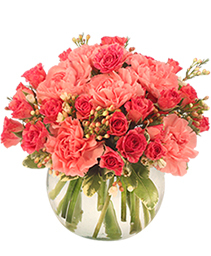 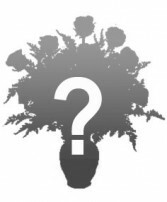 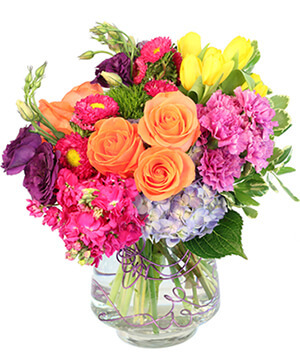 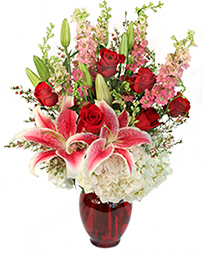 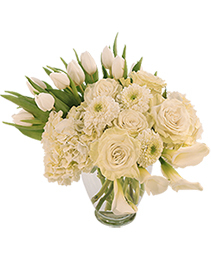 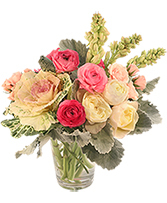 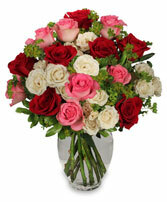 Rose Vase, Foliage: Salal Tips, Leather Leaf, Light Pink Lilies, Coral Gerberas, Coral Roses, Lilac, Green Dianthus (Trick), Green Hanging Amaranthus.